Stima Sacco further said the two institutions are regulated by two different bodies; Sasra for Stima Sacco while the Department of Cooperatives for Stima Investments. NAIROBI, Kenya, Mar 4 – Stima Sacco has refuted a report published in one of the dailies that its Board has been disbanded following a forensic audit that revealed fraud. 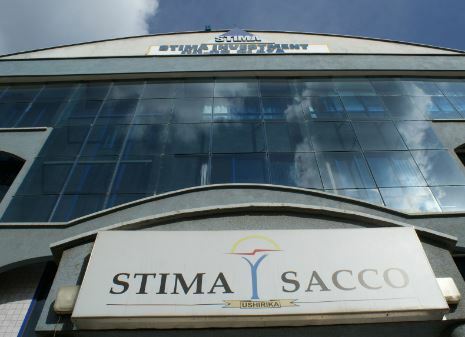 Stima Sacco has clarified that the organisation in question is Stima Investment Cooperative Society Limited which has no relation to the giant deposit taking Sacco. “Stima DT Sacco Society Limited and Stima investment Cooperative Society limited are separate entities with separate Governance structures and distinct clientele. Stima DT Sacco is a licensed Deposit-taking Sacco and does not deal with real estate,” read a statement from the Sacco. Media reports had indicated that the cooperative Sacco, which has over 13,000 members, had misappropriated Sh500 million in suspect land transactions. “We wish to clarify that the news article published in a section of the press has nothing to do with Stima Sacco. The media house has since corrected the story,” read a text message to members. “Stima Sacco board has not submitted a case in court in relation with the purported disbandment of its board,” the statement further read. “Stima DT Sacco is the 2nd largest Sacco by asset classification out of about 220 deposit-taking Saccos in Kenya and we can confirm to our members that we are in a strong financial position and well within the statutory requirements as governed by SASRA (Saccos Society Regulatory Authority), a fact that can be confirmed by the Authority,” said Stima Sacco.